Lou Reed is an American Master, a playwright, a poet, and a photographer whose photos have been exhibited worldwide. His third photography book, Romanticism, was released in 2009. He is the recipient of the Chevalier Commander of Arts and Letters from the French government and numerous other awards. He was inducted into the Rock and Roll Hall of Fame in 1996 and is a founding member of the legendary Velvet Underground. 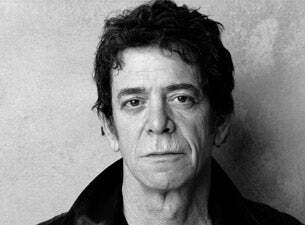 In December of 2006 Lou Reed premiered the live staging of his masterwork Berlin at St. Ann's Warehouse in New York. The performance was filmed by Academy Award nominated director and artist Julian Schnabel. Reed released his first suite of electronic mediation music, Hudson River Wind Meditations, on the Sounds True label in 2007. In late 2008 Reed released a new album of live electronic music called Lou Reed's Metal Machine Trio: The Creation of The Universe, which inspired two extremely well received performances by the MM3 Trio in New York in April of 2009. Reed collaborated with artist Lorenzo Mattioti, who created a graphic novel based on Lou's album, The Raven. He is also completing a book of essays on Chen Tai Chi called The Art Of The Straight Line. Lou Reed co-hosts a weekly radio show on Sirius XM Satellite Radio with friend and distinguished producer Hal Willner called "The New York Shuffle". Reed has acted in and composed music for films and currently lives in the city of his heart, New York.